While getting your flight, accommodations, and airport parking arrangements lined up are among the most important tasks to complete before launching into vacation mode and taking a trip, sometimes there is an overwhelming number of other items on your to-do list that need to be addressed too. 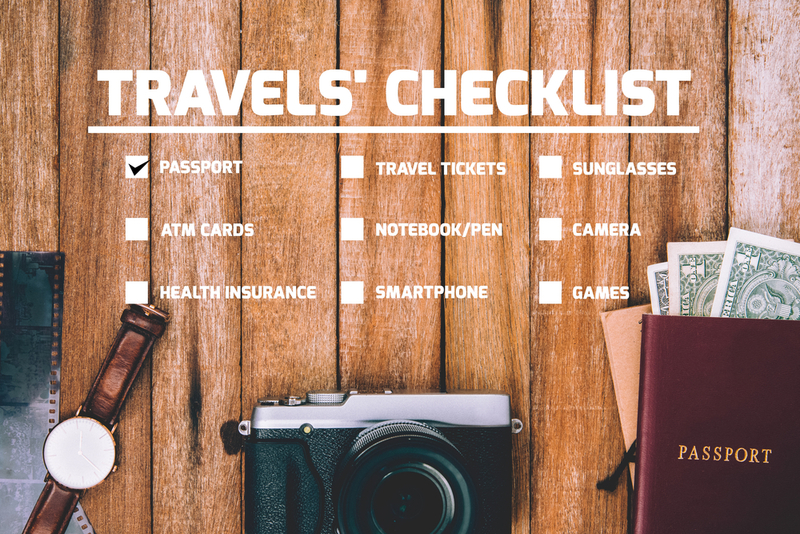 That’s why creating a pre-travel checklist can be extremely useful. Here is a rudimentary list on which to base your own, taking into account multiple travel scenarios. Safe travels! Confirm your flight time and status, determine when you’ll need to leave for the airport, and look up how long it will take to get there as well as how to get there. Check weather conditions and leave early enough to hit a traffic jam and still be ok. If you are leaving the country, make sure you have an up-to-date passport, any necessary visas, and remember to exchange money. Let your credit card company know you’ll be abroad. Shop for food and snacks. Bring an empty water bottle to fill up once you’re past the security checkpoint. Check the luggage number, dimensions, and weight restrictions and fees and decide whether to check any luggage or not. Make sure you have appropriately sized toiletry containers and that you bag them so they don’t leak on your stuff. Check that your carry-on items are allowed in every airport you need to fly out of, as restrictions can differ from country to country. Buy travel insurance and emergency medical insurance. Check in 24 hours in advance for an easier time, select your seat(s), and print out your boarding pass, insurance policies, and all other travel documents. Figure out how much luggage space is available in your car if you are driving it to the airport. Consult the weather report, find out about local customs regarding acceptable/unacceptable dress, and run through any planned activities or events to help guide your clothing and accessory packing: umbrella, boots, hats, gloves, scarves, sunscreen, etc., and pack a plastic bag for dirty clothes. Bring vitamins and/or medicine you may need, and go to a travel clinic for any required immunizations. Don’t forget your cell phone, computer, all chargers for phones, computers, cameras, and other electronic devices. Find out about any needed converters for electronics-voltage and/or plugs. Look into calling card rates and country access codes if necessary. Books or other reading material are a great reprieve from the screen. Bring emergency contact numbers and give your contact info to parents, friends, or roommates. Pack school or work materials for a productive trip. Why not bring a collapsible bag to bring home souvenirs? Lists can go a long way toward making your life a lot easier—before, during, and after your trip. But your most important task of all is having a good time, so that should be at the top of your travel checklist every time you prepare for take-off.